Bringing a friend to the networking event will make you feel 100 times more comfortable! However, the one downside is that it’s easy to just talk to your friend all night instead of meeting new people. Just keep that in mind when you recruit a buddy! Have a goal in mind, such as ‘I need to meet six new professionals within my industry tonight.’ This will help you remember why you signed up for the event in the first place and motivate you to make the most out of the evening. If there is a public list of attendees, take a look through it and look those people up on LinkedIn. If there is not a public list, find the event hashtag on Twitter and see who is going. If you have people you want to talk to in mind, you’ll eliminate that awkward wandering around you often see at these events. Let your appearance give you confidence; wear something that makes you feel professional and great, overall. “How about this weather,” will only get you so far. Think of interesting conversation starters beyond the weather, such as a new book, the food or non-controversial current events. If you have these ready, approaching a new person will be a lot less scary. You don’t want to be that person who drones on and on about your day-to-day at work. Make a conscious effort to ask a lot of questions; it makes the conversation more interesting all-around. The most awkward part of networking is trying to excuse yourself from a conversation! Having your business card in hand and asking for a follow-up lunch or coffee is probably the easiest way to move along. However, simply saying, “It’s been great talking to you! I need to say hi to a few more folks tonight,” can do the trick and is a lot less awkward than you think. If you’re somebody who cringes at the word, “networking,” you no longer need to with these tips! 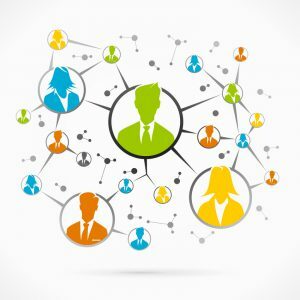 Have an additional networking tip? Share it in the comments! This entry was posted in Clients, Currently Employed, Job Seekers and tagged Networking, Networking Tips, professional networking. Bookmark the permalink.